The special molecular structure and resin stabilization properties of polypropylene make these tapes have excellent mechanical and optical properties, making them a natural choice for product packaging uses. During manufacturing, BOPP Tapes are stretched according to and across the direction of the machine, which vastly increases their tensile strength, clarity and improves their structure. Resistant to various chemical solvents. All these properties make BOPP tapes are the excellent choice for industrial and commercial packaging applications. In addition to these features which most suppliers provide, standard suppliers of BOPP Tapes offer a host of auxiliary benefits as well. We will take a look at the top 5 benefits standard suppliers provide. Stick your BOPP tape all around a corrugated box that you intend to ship. Once it is nicely stuck to the box, pull it off in a quick motion. If the tape of you have bought has a high gumming quality, it should tear off the first paper layer of the corrugated box along with it. Inferior BOPP tapes provide no such guarantee. Gumming quality is thus an important element of BOPP tapes which determines their long-term usability. High gumming quality will ensure that the products which are held together by the BOPP Tapes will be transported and delivered in perfect condition without any damage. 2. Length - Another factor which often plays a critical role in the choice of BOPP tape and its suppliers is the length versus price dilemma. The standard BOPP tapes required by industries is usually 65 meters long and 2 inches thick. However, did you know that most stationery suppliers sell BOPP tapes which are 2 inches thick but only 50-55 in length? While buying from such suppliers might seem like a lucrative option given the lesser prices they quote, you ultimately end up incurring a loss of almost 25-30% due to the lesser length you get. Sumeru has another very simple test to ensure that the BOPP tape you are buying is of the standard length and width. The first test is to simply weigh the tapes bought from a standard supplier against the tape bought from a stationery supplier. The BOPP tape bought from the standard supplier will have a higher weight on account of being longer and thicker. 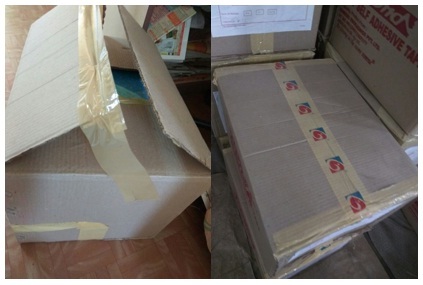 The second test is to place the tapes bought from the two suppliers on top of one another. The one bought from the standard supplier will be bigger in diameter, again because of the longer length that they provide. Thus, though buying from a standard supplier might prove to be a little costlier will ensure that the tapes supplied to meet the desired length specifications. The quality, too, will be superior. In such scenarios, it is always wiser to not settle for the BOPP tapes which cost less since paying a little extra will guarantee you tapes of the highest order. The trade-off, we assure you, is worth it. 3. 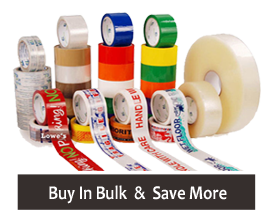 Printing/ Customization - A third feature that standard suppliers provide is the option of printing the name of the brand/company/ organization on the BOPP tape. If your regular requirement of BOPP tapes is on the higher side, availing of this feature could prove to be advantageous. Using printed BOPP tape offers a two-fold benefit for the company. It plays its part in advertising and building brand awareness while (split) providing security to the product being transported as well. 4. A range of Options - Standard suppliers of BOPP tapes also offer a wider range of sizes and also provide tapes which are easily adaptable to automated applications. For example, if you need to use BOPP tape on a small box, usually a 1-inch wide tape should work. However, if the box is bigger and heavier, even the standard 2 inches' tape will not work. For such cases, standard suppliers provide 3 inches wide BOPP tapes. Thus, you have the option of choosing the size of BOPP tape best suited to your application requirements. 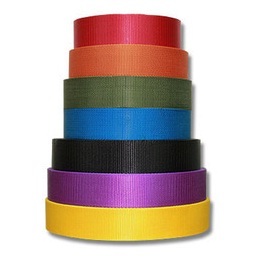 Some suppliers also offer colored BOPP tapes which can prove to be handy for product identification and organization tools. 5. Automated Application - Many industries nowadays have switched to an automated application of BOPP tapes to save on time and increase efficiency. However, most stationary suppliers do not provide tapes longer than 65 m. Thus, the main motive of automating the application is undermined since 65 m tapes will run out faster and will have to replaced very frequently. This would lead to more breaks in the production process, increasing time and decreasing efficiency. To counter this problem, standard suppliers offer tapes as long as 650 m. That is 10 times longer than the industry standard. Longer tapes would lead to lesser cycle time and would also save man-hours, thereby greatly decreasing costs as well. Thus, while BOPP tapes in themselves provide a host of benefits and advantages to the user, tapes bought from a standard supplier arm the users with extra benefits which prove to be very profitable in the long run. This small but crucial element of the entire packaging process needs to be given due attention to make the overall experience richer for the consumers. The content of this blog has been published by the marketing team of Sumeru Packagings Private Limited. For more information on BOPP Tapes and our products, kindly contact us on marketing@sumerupackagings.com. You can also visit our website here.